San Diego resident Martin Chitwood recently republished The Influence of the English Common Law on the Law of Commonwealth West Africa, now available on Amazon or for download on Kindle. The book provides an excellent introduction into how the common law legal system emerging from England quickly replaced tribal law that had existed in the region for millennia, shaping the future of the region. Originally published by the University of Georgia Press in 1976, the book explores how the common law system that evolved in England, principally from the time after the Norman invasion of England in 1066 and through the 19th century, directly influenced the legal systems of sub-Saharan West Africa, in what is now Gambia, Sierra Leone, the Gold Coast and Nigeria. A key feature of English common law – as compared to other legal systems – is that law is made by judges sitting in courts, applying legal precedent to the facts presented, rather than by a legislature. English law was introduced to West Africa by Englishmen arriving in West Africa, who as British subjects, and now colonialists, brought common law traditions and procedures into new territories along the coast. Common law also evolved in West Africa through legislative decree, as it was deemed essential to establish systems to promote peace and order as a precursor to future economic development. Martin Chitwood carefully outlines the roots of progress and the many challenges, which can now be more thoughtfully explored with an understanding of how the English legal system became integrated in West Africa. “The book provides an excellent introduction into how the common law legal system emerging from England quickly replaced tribal law that had existed in the region for millennia, and was able to provide a foundation for the future economic development of West Africa,” explains Martin Chitwood, Esq. a prominent securities law attorney residing in La Jolla, California. The book traces the introduction of common law; the demand for development in Commonwealth West Africa; how the English common law was a unique vehicle for development in the area; and how choice of law considerations and burdens of judicial proof were addressed in Commonwealth West Africa. 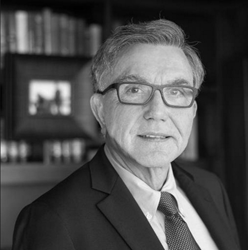 Martin Chitwood, a San Diego resident, has served as lead or co-lead counsel in over forty class actions nationwide and has been instrumental in recovering billions of dollars for investors and other class members. Chitwood has also served as lead trial counsel in approximately twenty-five jury trials and has written and argued many successful appeals. Martin Chitwood is a Partner at Chitwood Harley Harnes LLP in Atlanta, Georgia.